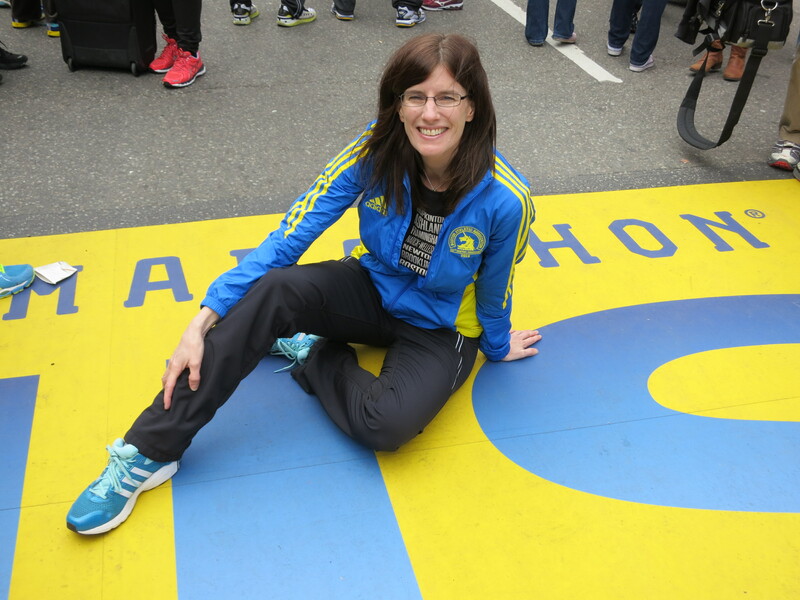 So I was trying to think of what to blog about to express how much I love running. And thought about doing the standard “I run because . . .” post. Or the Top 5 Reasons I Run. Or something similar. 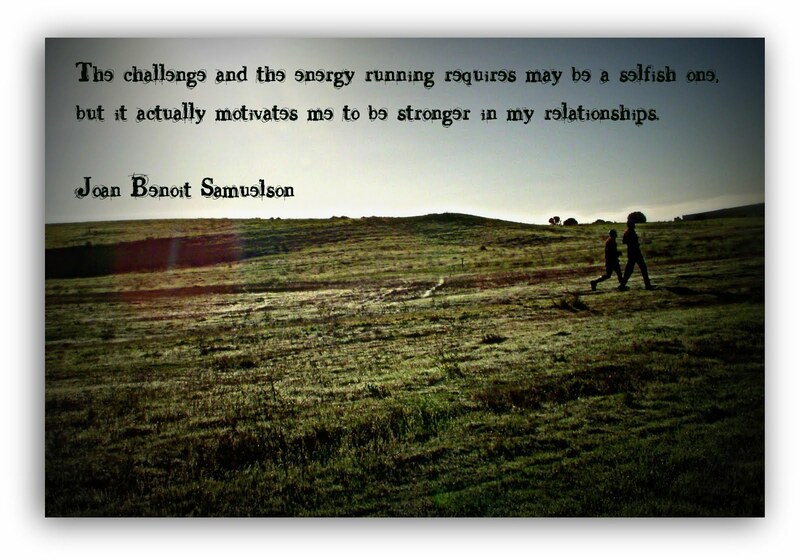 And then I stumbled on this quote by Joan Benoit Samuelson, which PERFECTLY sums up how I feel about what running does for me. Anyway, I love this quote because it’s so true. Running (training) is challenging and requires so much time, energy, dedication and devotion. On some levels it may seem – and perhaps is – selfish. It requires a lot of time. A lot of thought. A lot of money (lots of shoes! And gu! And race fees! And cute running clothes!) And a lot of sacrifices (going to bed early, skipping that second glass of wine, etc.). But the payoff for all that “selfishness” is big. It makes my relationships stronger. I have no doubt that because of running I’m a better mom (by setting healthy example for kids; by being in a better mood because I get my daily endorphin fix), a better lawyer (by being more organized and using my time better when I have to fit in running AND lawyering; by sorting through my tough cases when I’m out running), a better friend (running has actually made so many new strong, fun friendships for me) and just a better all around person.